Last time around, we looked at the jobs everyone thinks is deep in the loser category in Final Fantasy XIV. Some of them are really in a bad place, some of them just seem to be in a bad place due to perception, and some sort of have both going on at the same time. But now it’s high time for us to look at the other side of the coin, the jobs that everyone thinks are just doing great. The funny thing is that in this case, I feel there are fewer jobs where the reality is that the job isn’t that good but just gets perceived that way; it’s more a case where some of them are being seen as outright overpowered when they’re really in a pretty good spot. But enough of the hand-wringing; let’s move on to the jobs that everyone sees as being the absolute winners of the expansion thus far, and examine whether they’re really so great. Frankly, I think Paladin was going to wind up here in Stormblood no matter what. 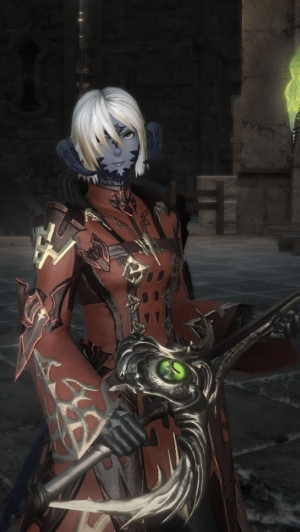 After going through all of Heavensward with a kit that was entirely functional but provided little to no excitement, the slightest change to give Paladin something to do would be enough for the job. Instead, what we got were a series of changes designed to very clearly give Paladin some much-needed offensive punch while simultaneously staying true to what Paladin has always done. Is it successful? Definitely. Is it too successful? That’s a little more up in the air, but looking at the changes as a whole, I’d have to say that no, Paladin is about where it should be. All of the new Paladin abilities are still very much in the realm of being support-oriented, and even Holy Spirit spam winds up mostly serving a defensive/support purpose. 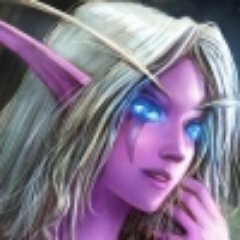 It’s less that Paladin is dealing an unbalanced amount of damage and more that veteran Paladin players aren’t used to being this capable of any offense. Having a cycling set of cooldowns and offense options in and of itself makes Paladin feel more aggressive. Functionally, Paladin is the only tanking job without a charge (but the most reliable damage at a range) and it still takes a long time to get a proper damage combo. So it’s still balanced as the most support-based tanking job. It just no longer feels as if your world is sitting there hitting the same combo until the end of time whilst popping an occasional cooldown. Much like Scholar, White Mage is really just a job that’s benefited from a change in the environment. Lilies are nice as a means of reducing your cooldowns, but at the end of the day, the biggest change is just that White Mage no longer has to swap back and forth between Cleric Stance to do damage. The thing is that when White Mage also has a big punchy AoE DoT, Holy, and Assize, that one change ripples through every part of the job. Assize is no longer a spell that either has weak damage or weak healing; it’s punchy on both ends. You can easily Holy, Holy, Assize, winding up with a hard AoE hit and solid healing on the party while recovering more or less all of your mana. Lucid Dreaming, Thin Air, and your many healing abilities mean that your MP seems to go on forever. And you’ve still got a solid kit focused around strong heals. Still, the job isn’t actually overpowered; much like Paladin, it was just weak for so much of Heavensward that even the small changes feel like a massive update. Plenary Indulgence is still of questionable utility, you bring less group utility than Astrologian, and the job still doesn’t have the sort of identity that the other healers do. It’s just become a job that is entirely capable of hitting hard and healing hard in equal measures. Let’s be clear here – when you watch Red Mage explode out of the gate with a damage combo that appears to hit with the force of the Saturn V rocket impacting a fly, you can’t help but think they’re overpowered. If someone whispers in your ear afterward that they can also cure, raise, and buff the group with crit, you may want to flip a table. Red Mage has a pretty broad and potent toolkit, in other words. Honestly, out of all the jobs on this list, Red Mage is probably the one that needs the most careful eye on its overall balance. The thing is that Red Mage balances itself in part by having a rather complex moment-to-moment decision tree and a whole lot of things going on at any given moment; that makes the job avoid outright unbalancing the game, but it also means that it does have a lot of options and abilities open to it. Most of its tricks, though, wind up contributing to its core spread; you can’t remove its charge and backstep without removing its ability to reasonably step in and out of melee. The high burst potential balances out over time, but that utility is hard to beat, right down to the fact that Red Mage has an easier time picking up healing, raising, and party support than any other caster DPS going right now. It’s versatile, and while that keeps it thematically accurate and makes it a lot of fun to play, it also means that it has a near skip into being a bit overtuned. By contrast, Samurai has no utility to speak of. Samurai’s job is as straightforward as Ninja, and there are several comparisons to be made between the two in that they’re both jobs focused relentlessly on dealing damage to a target. The difference is that Ninja offers some party-wide utility with damage buffs, while Samurai trades that utility for having solid AoE damage as well. Much like Red Mage, however, it’s informative when you see the things Samurai lacks. It has no DoT effect (outside of its Iaijutsu-based Higanbana), it has no real means of recovering TP or any direct damage cooldowns. It also relies upon juggling resources carefully and parses high partly because it’s a “selfish” job; it doesn’t make the rest of the group perform any better. I think, ultimately, Samurai is in a pretty good place, and it benefits a bit from being the new kid on the block and designed to have tools that complement a number of fight mechanics well. Hopefully as the expansion goes by we’ll see fights that highlight more of the job’s weaknesses, like its finnicky timing. Here’s the problem with Bard: It’s absolutely indisputable that Bard provides great utility and has good reason to keep its rolling buffs and enhancements going. What’s very difficult to discern is whether or not Bard is actually stronger than it should be, and that’s hard to know when Bard has the problem of any proc-based class. Playing Bard is like playing dice and never knowing how things will turn out. Sometimes, you’ll be getting Pitch Perfect hitting full stacks repeatedly and turn into a non-stop cannon. Other times, you’ll only get two stacks because of Empyreal Arrow and you’ll have to accept it. That’s the very nature of the job. Everything hinges upon unreliable luck, and while you can stack your stats a little, you can never really eliminate that chance-based aspect. I think Bard probably could use a little less luck, a little less utility, and a little more reliable damage. It’s definitely strong, but there’s a sense of gambling with unloaded dice, and that makes the job hard to really parse; it also has a lot of utility that makes it stand head and shoulders above Machinist for filling the same role. Of course, after everything Bards dealt with back in Heavensward, maybe they deserve a bit of time in the driver’s seat. Feedback, as always, is welcome in the comments or via mail to eliot@massivelyop.com. Next time around, we’ll look at the other jobs, whether they’re in the middle or just split between good and terrible points. Except that by the end of Heavensward, Astrologian was already shaping up to become the best healer in the game, if it wasn’t already. Astrologian got a lot of tools to help it do its job, but the changes to the system and what White Mage did get helped propel it up in strength by a large margin. So while yes, Astrologian is better than White Mage right now, White Mage is still the winner because it is by far in a much better place than where it had been in the past. This is just how the community as a whole views things though, and that’s what Elliot’s commenting on. but this is very subjective? How do you know Which job do people see as the best and concluded to White Mage? 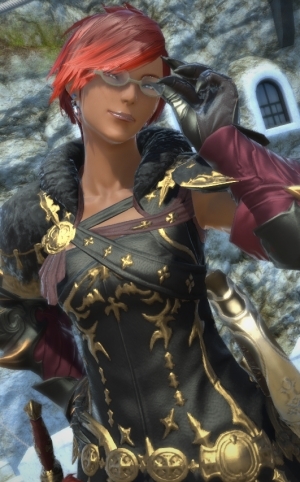 :P A quick read on reddit/ffxiv and on official forums will show that people see astrologian as the best and it is. Yeah… Red Mage has some… insane burst damage to say the least. The only thing that keeps it from being overpowered right now, as far I can tell right now, is that its mana generation is reliant on its own procs. Yeah, 50% proc does mean its still somewhat stable, but there are times when it feels like I’m not hitting that proc for long periods of time, which does mean I’m relying on Jolt II/Impact to fill my hard cast slots and not generating as much mana as I should be now. That said, Red Mage really feels like its on the edge of being overpowered. I’m not saying its finely and accurately balanced, but more that everything about it has come together to build a class that toes that line, that balances itself between doing lots of damage and just kind of sitting there doing the bare minimum damage possible. Of balancing between being too simple and being overly complex. And in the end, isn’t that what a Red Mage ultimately is and does? I wouldn’t be too surprised overall if that’s how it really is. Its not hard to do that damage, yeah, but its just the lack of being able to keep that level of damage up that makes it hard, especially given the randomness of procs. The reason red mage is on very good spot is because it can do decent damage and also has awesome support… instant ressurects with dualcasts is the most important perk now for progression. They also have instant heal to use on group to help :) so they are not bringed for their damage, but for their support, like Bards..